Get this beautiful stemware storage solution for a housewarming, Christmas, New Year's or just because. 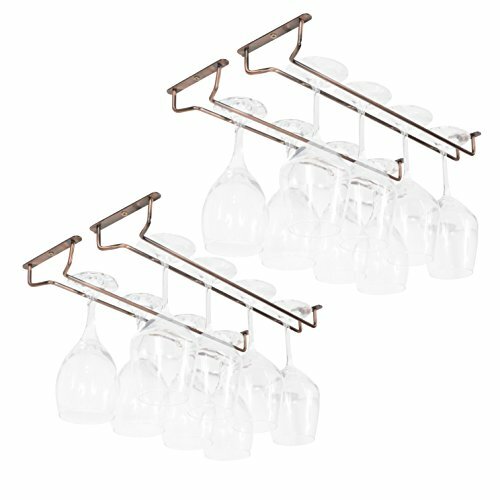 Each Wine Glass Drying Rack's Dimensions: Glass Holder L 17" Wall bracket W 5"
Great Quality: Made of good craftsmanship, these stemmed glass holders are amazingly organizational for all your gatherings. Each Rack's Dimensions: Glass Holder L 17" Wall bracket W 5"